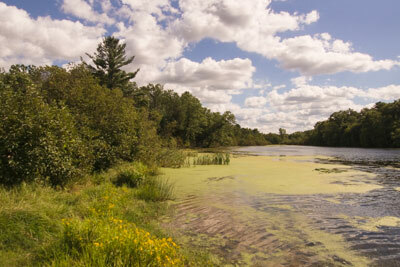 Located in Mirror Lake State Park (608-254-2333, dnr.wi.gov/topic/parks/name/mirrorlake) just three miles south of Wisconsin Dells, the Cabin in the Woods not only offers good access, but it also includes some extra adaptive equipment. And it’s not like it costs and arm and a leg to rent it either, as it was built by the Telephone Pioneers of America and donated to the Wisconsin Department of Natural Resources, so that everyone can enjoy the great outdoors. 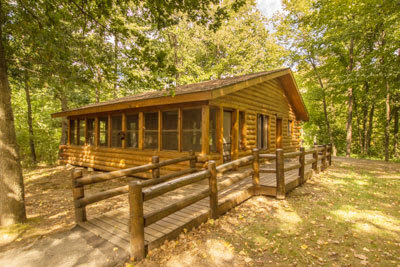 This 700-square-foot cabin is located in the Cliffwood Campground, and it offers a magnificent view of Mirror Lake. There’s plenty of room to park in front of the cabin, with ramped access up to the screened-in front porch. Out front there is a paved pathway to a picnic table and a grill — both of which are accessible. The cabin features wide doorways and plenty of room to maneuver a wheelchair on the hardwood floors. The large great room has a full-sized sleeper sofa and a dining table with four chairs. The compact kitchen is furnished with a refrigerator, a microwave, a roll-under sink and a cook top. The bedroom has an extra wide doorway, with a curtain instead of a door. It’s furnished with two twin hospital beds, with an access aisle between them. There are also two single cots, so the cabin can accommodate up to six people. The bathroom has a wide door, with plenty of room to roll-around. It’s furnished with a roll-in shower with a fold-down shower bench. A roll-under sink is also included. As an extra bonus, a sling lift, a rolling shower and commode chair, and a toilet riser with attached grab bars are also available to guests. Cooking utensils, bedding and towels are not provided, but at just $30 per night (plus a $4 reservation fee), you just can’t beat the price. The cabin is reserved for people with disabilities and their friends and families, and the Wisconsin Department of Natural Resources keeps close watch to make sure the cabin goes to people who really need the access features. Applications for reservations can be obtained by calling (608) 266-2181. There is also a paved path out to the fishing pier, that has lowered rails to make it easy for wheelchair-users to drop their lines. It’s a great option for those who don’t have a boat. Next door, there is a boardwalk down to the accessible boating dock. The boardwalk continues past the dock out to some benches on the water’s edge, where you can enjoy the beautiful lake view. The Cabin in the Woods is also close to the Echo Rock Trail, which is accessible for about a half-mile. The wide paved trail has a slight incline, and features interpretive plaques along the way. It leads out to a nice overlook with benches to enjoy the view, however it loses it’s access after that point. If you want to go all the way down to the beach, make a right turn as you exit the campground, and then take the first right. There is an accessible picnic table and shelter in the upper parking lot, but for the best beach access you should park in the lower parking lot. 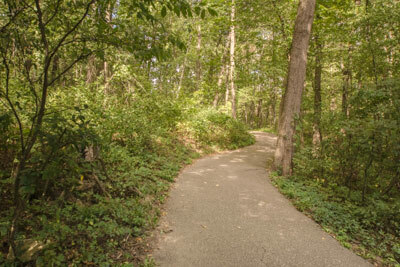 From there, you’ll find an accessible asphalt trail that leads down to a grassy area near the shore. Depending on the water level, some wheelchair-users may need a bit of assistance over the grass, but you’ll still get a nice view from the path. And if you’d like to pack along a picnic, there’s an accessible picnic table with a view of the water along the path. 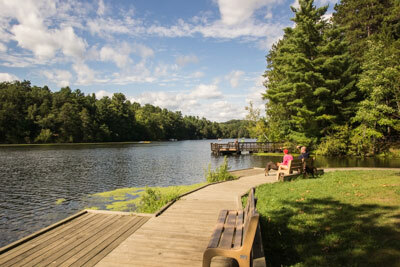 No matter if you just want to relax and enjoy the view, catch some fish for dinner, or take a hike, there’s plenty of accessible offerings at Mirror Lake State Park. And the very accessible Cabin on the Lake makes this beautiful outdoor area even more accessible to wheelchair-users and slow walkers.